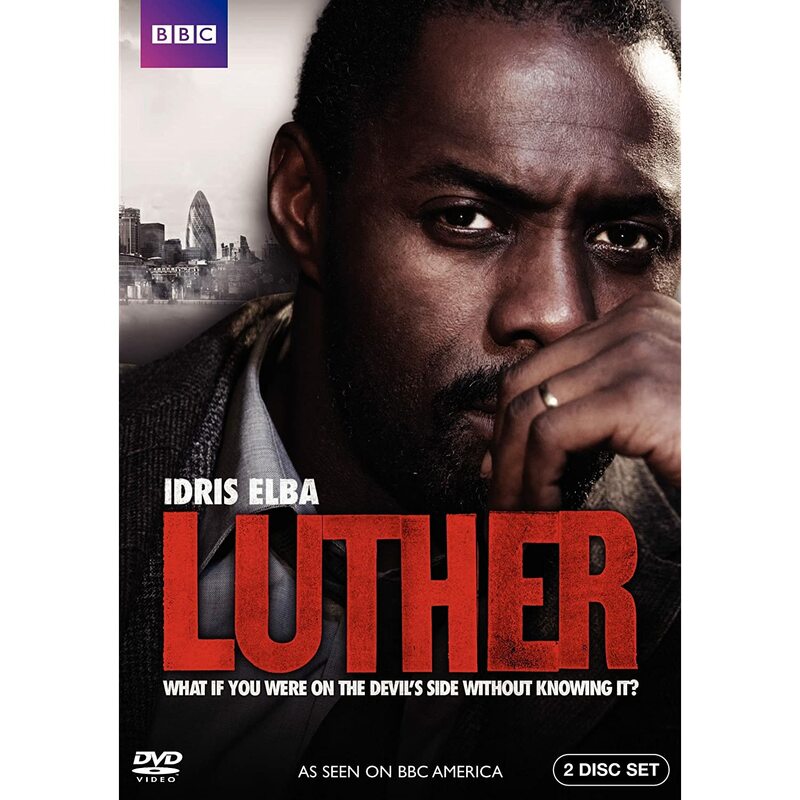 Luther has been one of those shows I mean to watch but never get around to, but with the arrival of a DVD screener I finally ran out of excuses to delve into this BBC crime procedural drama. Helmed by Idris Elba (The Wire) in the titular role, the show follows the relentless Detective Chief Inspector as he chases and apprehends killers by any means necessary. He’s not a dirty copper, he’s just not above bending the parameters of what might technically be legal in order to get the desired results. He also has a short fuse on his temper, leading to some unfortunate recurring destruction of office property whenever something sets him off. In the first series, John Luther was stymied by his valiant attempts to convict a psychotic murderer named Alice (Ruth Wilson) in the premiere episode, and instead ended up forming something of a uneasy Hannibal Lecter/Clarice alliance with her. That relationship blossomed to the point that she became his closest confidant in working through his personal demons and criminal investigations, leading to her direct involvement in the brutal payback doled out to the killer of his estranged wife in the final episode. As the second series opens, Alice has been imprisoned for the execution of Luther’s wife’s killer, while Luther is still devastated by the loss of his wife and trying to find his footing in a new police division. His old unit has been disbanded and he finds himself in the newly-formed Serious and Serial Unit, a rather ridiculous name to be sure but a welcome chance for a fresh start. He also brings in his old partner Detective Justin Ripley (Warren Brown), a good cop who was unjustly shuffled off to career oblivion due to his previous support of Luther. They’re joined by new recruit Detective Erin Gray (regrettably played by Nikki Amika-Bird, not Erin Gray), a rising star who fears career destruction via association with the volatile Luther. Once assembled, the team is quickly faced with their first case involving a masked killer who carries out ritualistic murders around London, seemingly leading up to one last grand spectacle that the team must stop. Next, they investigate with a brazen killer who seems to be making a game out of his crime, deciding who to kill based on the roll of dice. They soon discover that he’s actually one of identical twins, and both twins are competing against each other to see who can rack up the highest score. The crimes are fairly gruesome and graphic, marking this a series not for the faint of heart. Even by microscopic UK series lengths, Luther’s second series is decidedly brief at only four episodes. With its two principal investigations each spanning two episodes, it’s probably better to think of the season as two movies rather than one series, as I definitely felt short-changed by the folly of calling this a season. The show's production quality is high, and Elba is as magnetic as always, but it’s difficult to build a connection with a tv character in such a brief span. The DVD set spreads the four episodes across two discs but offers no bonus features. 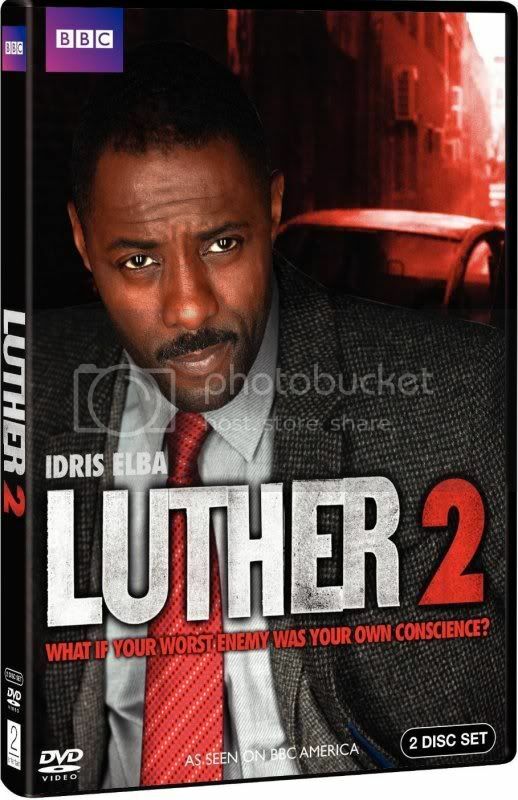 Luther Season 2 is now available on DVD. Likewise steve this show is high on my list of BBC shows I need to check out. I'm gaga about a few recent BBC shows I've caught onto (Misfits, The Hour) so looking ofrward to getting with Elba and this one !